In this video, I will share with you my simple recipe for seasoning your chicken and creating a “finger-licking” BBQ Sauce. I will also share my “fool-proof” method cooking them on a charcoal grill. If you like BBQ Chicken, then you are going to love this sure fire way to make them. Be sure to leave a comment – especially, if you try this recipe! Most people start their business for a variety of reasons. Some are really passionate about something and they are committed to sharing it. Some want to improve the quality of their life and the lives around them. Some are just looking for a way to make money. Some just want to make a difference. No matter how they get started, most people decide what they want to offer and then go find the market to offer it to. This is the hard way! How do you improve your odds? How do you become one of the very successful thriving businesses? You do what they do! 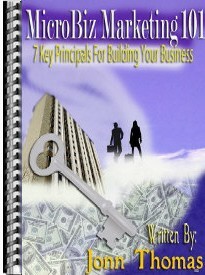 Do Your Homework and Identify a Profitable Niche Market First! Then, find out what the people in your target market really need! The solution specifically fulfills the needs of your niche market. It soothes their aches and pains. It satisfies their desires and grants their wishes. It’s just what they are looking for and they are hungry for it. You may find that you already offering the products and/or services that they may need. Is some cases, all you have to do is tweak your sales letter, benefits or pricing. You may also find that the solution doesn’t exist or if it does, it needs some improvement. At any rate, create the solution that solves their problems and give it to them. Often times, many small businesses attempt to offer too many types of services or lines of products. In a lot of cases, they do this because it generates revenue and help them to survive. However, if you don’t have the money and resources to do them all well, you may find yourself trapped or boxed into doing things that you don’t want to do, thereby robbing you of your power, performance & productivity. Let’s look at a simple way of creating your products & services matrix. It is helpful to break it down into the following 3 categories. Each category represents a unique stage in the marketing process and moves your prospects through the sales pipeline. I recommend that you streamline your offering of products and services, create a successful marketing system & fulfill the needs of your niche market. This approach insures the success and longevity of your business. By using this method, you will be creating a systematic approach for attracting new prospects, providing them with substantial value and converting them into long tem paying clients. It allows you to create credibility and establish yourself as an expert in eyes of your niche market. It also provides you with the ability to provide your clients with an effective solution until they are ready to invest in your premium products and services. Now, let’s look at each category a little deeper and identify a few examples for use as a model for your business. I highly recommend that you create your initial solution to their problems using the “how-to”, “step-by-step” or “key list” solution theme. Can you see that using this concept will make it really clear to your prospective clients how you can help them accomplish their goals? Once you have identified your primary solution theme, you can use it to create your irresistible products & services matrix. You can find out more about creating irresistible products and services in my new special report – MicroBiz Marketing 101 – 7 Principles for Building Your Business! Click here to get your free copy!